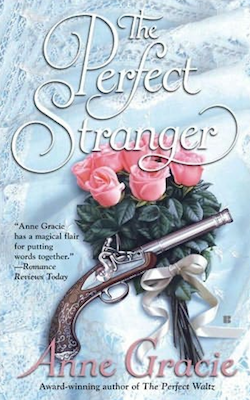 Hope Merridew dreamed of dancing the perfect waltz with the perfect man — and he’s not the tough, dark stranger who has come to London to court another woman. Only how can she resist him? Sebastian has his own demons: a dark past to come to terms with and two desperately needy little sisters to care for. 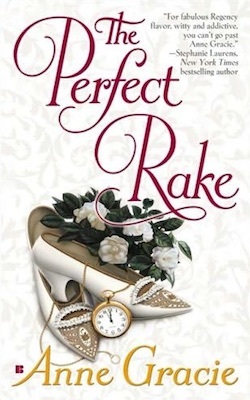 For their sake he must resist Miss Hope Merridew — but can he? “You are talking nonsense,” Sebastian said firmly. The two men were seated in a small, snug room which was part of Giles’s bachelor lodgings in London. It was late at night and a fire was burning merrily in the grate. Giles pursed his lips. “I see. But you don’t need a fortune, so why shackle yourself to a cold little fish like Lady Elinore? D’you know, I danced with her once. She made it abundantly clear she found me repugnant! Me!” Giles glanced indignantly down at his well formed person. From the very beginning of her first season, Hope had refused to fill the last waltz on her dance card, leaving her choice open until the very last moment. She didn’t know who he might be or what he might look like, but the dark and dashing figure of her imagination wouldn’t tamely sign her dance card and wait his turn. So she kept the last waltz of the evening free because one day he would come and in the waltzing, she would know him. It would be the perfect waltz. The practice was widely known—if not the reason—with the result that a small crowd of gentlemen approached her at the end of each evening and hovered, waiting to be chosen. She never chose the same man twice. “Perhaps—” she began flirtatiously, then broke off in surprise. It was Giles Bemerton with his big, fierce-looking friend looming silently at his elbow. A hollow pit opened up in her stomach and for a moment she could not breathe. His gaze devoured her. She stared back, mesmerized. “Giles, how very delightful to see you.” Mrs. Jenner bustled up, her wide smile belied by the militant chaperonial gleam in her eye. “How is your dear mother? And you wish to dance with Miss Merridew. Of course, dear boy.” She grabbed Hope’s hand and thrust it into Mr. Bemerton’s with genteel force. But Giles Bemerton, well brought up though he may have been, was more than a match for any chaperone. He instantly transferred Hope’s hand to the black clad arm of the big silent man standing beside him. “It is my friend, Mr. Reyne who wishes to dance with Miss Merridew, but it is so delightful to see you again, Mrs. Jenner. Let us catch up on old times while we dance, shall we?” And without waiting for her response, he swept the flustered chaperone out onto the dance floor, leaving Hope standing alone with the dark and somber Sebastian Reyne. Up close he looked bigger and more intimidating than ever. His eyes were gray, dark lashed and intense. Hope drew back. “So, Miss Merridew.” His voice was soft and deep and seemed to resonate through to her very bones. “Will you grant me the honor of this waltz?” He held out his hand to her. Someone should have warned him, Sebastian thought. Someone—the French caper-merchant or Giles—should have warned him that twirling around an empty room with a small elderly Frenchman in his arms was totally different to dancing with Miss Merridew. Once he touched her, all notion of rhythm flew from his head. She’d extended her right hand and it was simply the most beautiful arm in the world. He’d stared at it, entranced, for several seconds before he recalled himself. He took it in a firm grasp, and felt her small soft hand swallowed up in his great ugly fist. He felt like an ogre, crushing a fairy. And then he’d placed his other hand on the curve of her waist, feeling the warm resilience of her flesh beneath the delicate silken fabric of her gown. And was lost. The music swelled all around them. Sebastian stood like a rock, holding her, trying to master himself. How could he possibly dance? He was supposed to take her in his grasp and yet not allowed to hold her in his arms. He was supposed to twirl her lightly around the room, making witty conversation, when all he wanted was to draw her close and wrap her hard against him. Fearing he would forget himself, he held her rigidly at the correct distance and stepped out, as if stepping off a cliff. Not looking down. Sweat trickled down his brow. He was intensely aware of her. Her touch, even lightly, even through her gloves, set off a reaction deep within him, rippling from the point of contact to the deepest recesses of his being, arousing his most primitive instincts. Instincts he had kept at bay his whole life. Sebastian Reyne did not act on instinct. Logic and common sense was what he had always depended on. Wants were temporary, he told himself. They passed, as this dance would pass. They twirled and she bent and flowed gracefully in his arms, following the unspoken commands of his body. “It is the usual custom to chat as we dance,” a soft voice said from somewhere below his chin. Chat? Sebastian blinked. Chat? He could not think of a single thing to say. Even if he had the words, he wasn’t sure his voice would produce them. His mouth was dry, his tongue was thick and every part of his body was reacting to her. He fought to conceal it. “Ah. Indeed. Quite. Go ahead, then,” he managed. Brilliant. A soft chuckle floated upwards, and it was just like water in a fountain, like raindrops on diamonds. His whole body tightened in response, demanding he act now. Hold her. Claim her. Crush her to him and kiss her until they were both senseless. He was in the middle of a ballroom. One, two-three. One, two-three. “I haven’t seen you at these events before. Are you new in London, sir?” Her voice was soft and musical. “I am. Yes,” he managed. Her skin was like rose petals. Her skirt swished and rustled with every move, its delicate fabric brushing against his legs. Every one of his instincts clamored to draw her closer, to pull her close against him, to tuck her softness against his hardness—even now, he could feel his body pulling her insidiously closer. His grip on her tightened as he locked his right elbow, forcing his traitorous body to keep her stiffly at a proper distance. “Not long.” As long as it took to marry Lady Elinore. There was much to enjoy in his arms right now. Sebastian tried to concentrate. One, two-three. One, two-three. Her delicate scent wafted to him in drifts, the scent of woman with a hint of… roses? Vanilla? The ballroom was crammed with people, thick with overheated bodies and a hundred different perfumes. How then could he possibly smell her? But he could. He could smell her hair, the delicate fragrance of rich golden curls. He longed to bury his face in them. He twirled her around in a reverse instead. “No. I do not.” Sebastian grated, unable to take his eyes off her parted lips. So close… and yet so far. The punishment of Tantalus. A couple twirled dangerously close, romping rather than dancing. The man, a heavy-set fellow dressed in purple knee breeches and a spangled coat, was clearly drunk and even as Sebastian warned him off with a cold stare, the fellow overbalanced. His partner, a raddled woman shrieking with laughter, tried to straighten him, but his reeling weight was too much for her so she stepped back and left him to his own devices. Collision was inevitable. Sebastian pulled Miss Merridew against his chest and turned in a protective half-circle, keeping her safe within the embrace of one arm as he took the full brunt of the man’s toppling weight against the other. He stared at her in astonishment. “Me? Of course not. ‘Twould take more than a drunken bump to hurt me.” He twirled her around in a small circle. She frowned, as if unconvinced and her concern warmed him. Wishing to reassure her, Sebastian flexed his arm a couple of times. “See, no damage at all.” She just stared at him, a small thoughtful smile on her face, her body warm against his chest as she danced on. His body clamored awareness. Hold her closer, it demanded. Sebastian fought the urge. Perhaps she was shaken more than she wanted to admit. High born ladies were supposed to be extremely delicate. Miss Merridew was slender and dainty and looked fragile enough to break. No doubt she’d been wrapped in cotton wool all her life. The encounter with the drunken lord had probably overset her. That was why she was leaning against him, unaware of the impropriety. It could be the only reason. A girl like her would never encourage the advances of a man like him. He stumbled and cursed silently. One, two-three. One, two-three. She was enjoying it. Immensely. Our first waltz. Not simply “our waltz”. Our first one. As if she envisaged a long line of future waltzes with him. As if this first dance meant something to her, the way it did to him. His first ever waltz. Perhaps his last. He had already resolved never to dance the waltz with another woman. It took Sebastian several minutes to catch his rhythm again—her smile and her words quite robbed him of his concentration—but he prided himself on his self-control and soon he had them twirling efficiently around the ballroom. 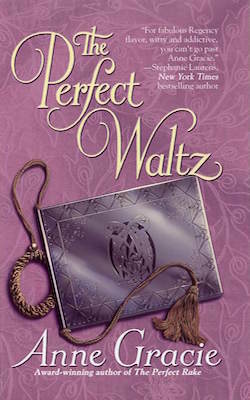 He darted a glance at her to see if he could somehow divine whether or not she had meant it about the first waltz, or whether it was just a meaningless politeness. To his surprise she was watching him, an expression in her eyes he could not identify. She dimpled. He glanced around the dance floor, but could not see what had so amused her. He looked back at her and frowned an inquiry. “Your second, perhaps?” Her eyes twinkled at him, an impossible, glorious blue. His primitive instincts responded wildly. He grimly suppressed them. Clumsy? It was ludicrous to imagine this dainty, thistledown sprite as clumsy. Then her other words sank in and he frowned. Lefarge. That was the name of his Frenchman. Unaware, she continued, “For the longest time I had to count under my breath like this—one, two-three, one, two-three.” Her blue, blue eyes were almost dreamy as she added, “It was such an irony, to find myself such a dreadfully clumsy dancer. I so desperately wanted to learn to waltz, you see. To come to London and dance it in the arms of a handsome man was the summit of all my dreams.” She glanced at him, then looked away, blushing rosily. The effect on him was instantaneous. Arousal. Sebastian was horrified. He’d never had it happen in public like this—not since he was a young boy. He half closed his eyes to will it away. To cover his confusion, he blurted out, “Which twin are you, Miss Faith or Miss Hope?” And then cursed himself silently for sounding—and feeling—like a gauche boy. Never a good sleeper, Hope found herself wide awake after the ball, tucked up in bed but thinking about the enigmatic Mr. Reyne. In the other bed her twin slept peacefully, untroubled by thoughts or frustrated dreams. Hope ached to be loved by someone other than a sister. By a man other than a great uncle. To be loved by the man of her dreams. Sebastian Reyne was close in some ways to the shadowy man she’d dreamt of; dark, mysterious, brooding. He’d prowled the room with assurance, indifferent to society’s approval, secure in himself, watching her hungrily, as a dream man ought. Hope sighed in disappointment. He was close, but not close enough. Dancing with him was nothing like dancing with anybody’s dream man. And she knew it had to be perfect for the dream to come true. He was a terrible dancer, poor man. The moment he’d touched her, he’d become stiff, abrupt, awkwardly precise, holding her at bay as if she were a wild beast of some sort and steering her around the dance floor as if she was a delicate, fragile… wheelbarrow. For some reason that made her want to hug him.